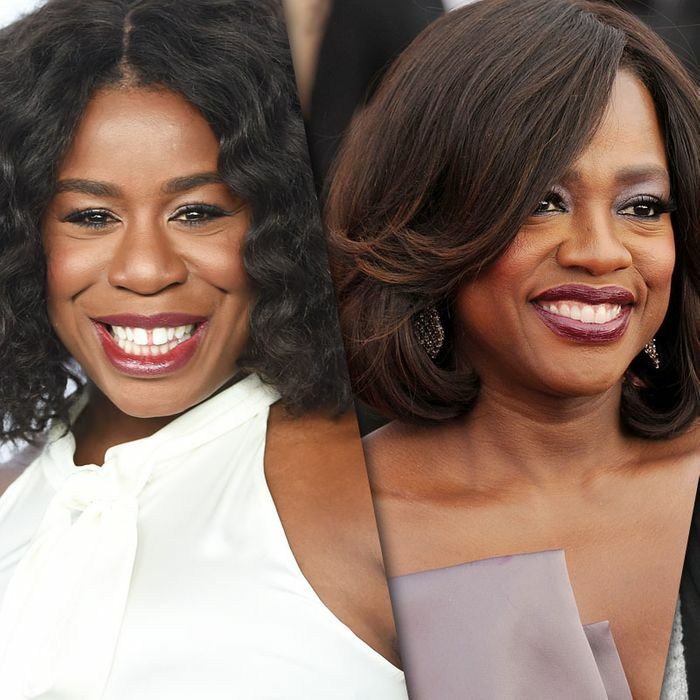 Queens Uzo, Viola, and Audra. After a long delay and considerable controversy, Zoe Saldana’s Nina Simone biopic, Nina, will be released in theaters on April 2. The first images and trailer of the film have only confirmed suspicions that the awkwardly miscast Saldana would be sporting a shaky accent, a prosthetic nose, and a noticeably darker shade of skin. This is a shame, considering the lead in a Nina Simone biopic would have been the role of a lifetime for any number of actresses. At this point, we thought it would be better to imagine who else could have played the High Priestess of Soul. Whether you cast for musical ability or physical resemblance, there are plenty of names to choose from. 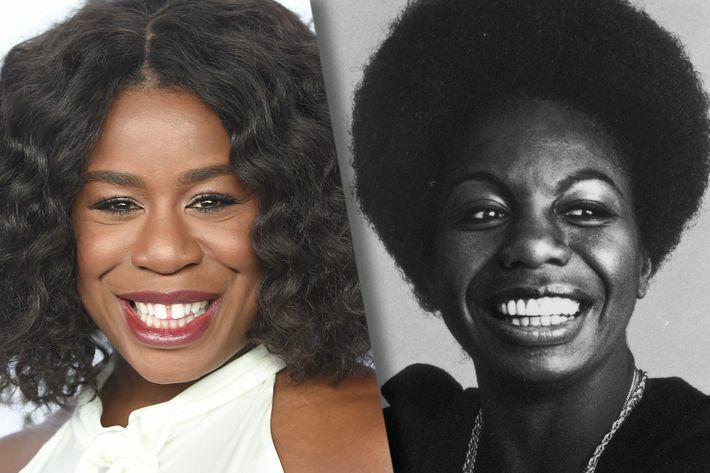 While Orange Is the New Black’s Suzanne Warren couldn’t sing at her graduation, Uzo Aduba certainly can. Those who only knew of Aduba for her two-time-Emmy-winning performance as Suzanne got a pleasant surprise to see the actor flex her musical-theater chops as Glinda the Good Witch on The Wiz Live! Aduba came up in the theater world, notably doing a revival production of the musical Godspell in 2011, so she would be a natural choice to play a woman who put a spell on us. This should have been a no-brainer: No other actor has more Tonys than Audra McDonald, and it’s because she can sing and act her face off. You’ll next see her as Billie Holiday in Lady Day at Emerson’s Bar & Grill, which brings her Tony-winning performance to HBO. Do we even have to question McDonald’s ability to impersonate Nina Simone as well? Just let her version of “I Loves You, Porgy” answer that. 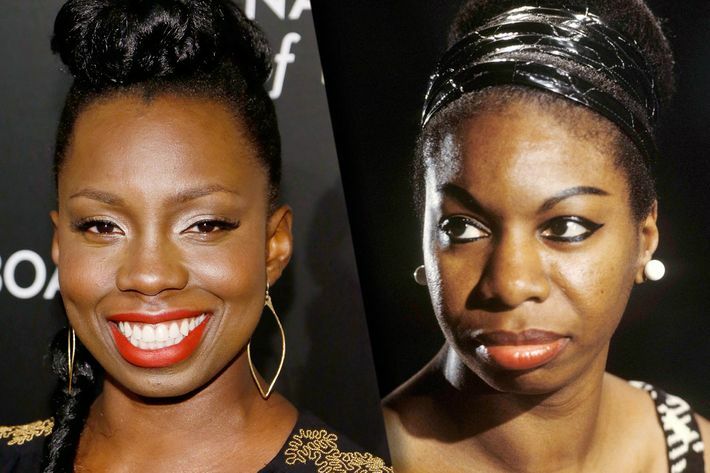 Going on looks alone, Adepero Oduye is a dead ringer for Nina Simone — just look at her nose, a defining feature of Simone’s, which people criticized for being “too wide” all her life. (Saldana had to use prosthetics to achieve the same effect.) Even better: Oduye is also a phenomenal actress, having been nominated for an Independent Spirit award for her breakout role in 2011’s Pariah. She has since appeared in 12 Years a Slave and The Big Short, and is overdue for another starring turn. If this were draft day, Viola Davis would be the odds-on number-one draft pick. 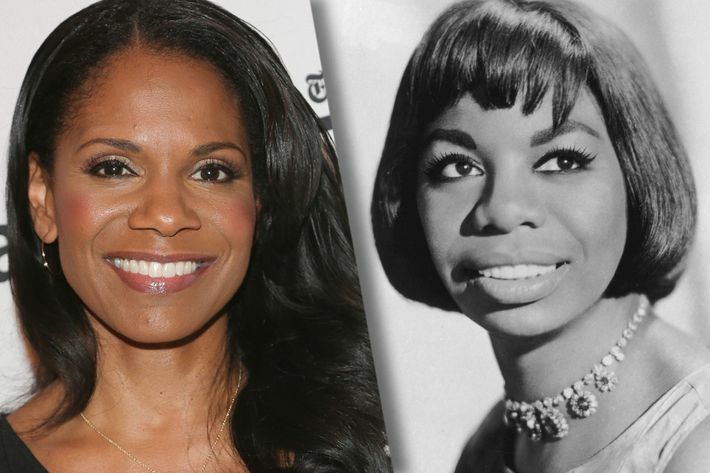 Nina Simone’s daughter herself has said that Davis’s “energy” and “look” would make her the perfect choice to play Simone. The Emmy Award-winner has repeatedly said that one of the reasons why she enjoys playing Annalise Keating on How to Get Away With Murder is because it gives her the opportunity to play a “sexual and mysterious and complicated and messy” woman. Nina Simone was all of those things and much more. The big question is whether or not Davis can sing, but we think the two-time Tony-winner would manage. Judging from Nina’s first trailer, the movie appears to tell the story of Simone’s later years in France. 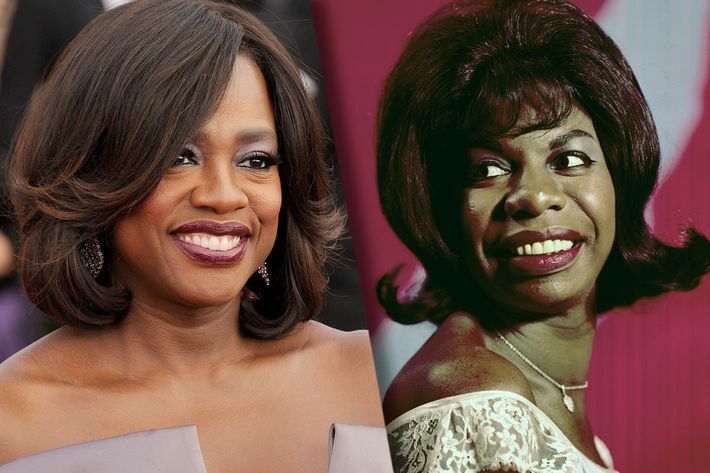 Zoe Saldana is 37; it’d be nice to see an older actress get a chance to play the aging, reclusive Simone at a time when she was written off as “crazy.” Sixty-three-year-old Alfre Woodard could pull off such a challenging role in her sleep, as her decades-long career has proved. 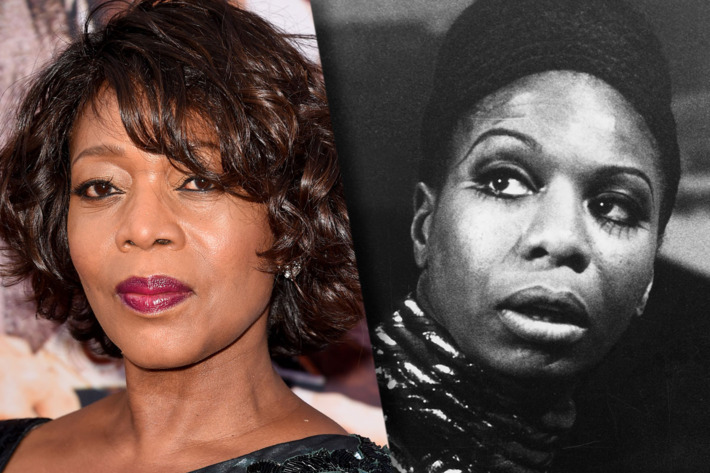 If she can play the President of the U.S., Woodard can be Nina Simone. 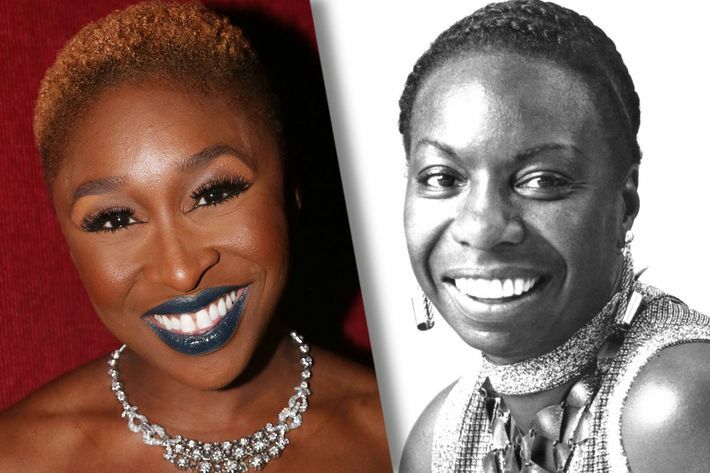 The 29-year-old Cynthia Erivo has been killing it in the theater world, receiving sterling praise for her role as the downtrodden, resilient Celie Harris in The Color Purple on Broadway — a role she also played on the West End. Erivo has only done a smattering of TV roles, but if playing Nina is essentially about conveying her essence, pain, and defiance, we can’t think of a better breakout role for Erivo. Sure, the American Idol winner has just one screen-acting credit to her name, and that was for a Lifetime biopic about herself (which was actually pretty great). But Fantasia has also starred on Broadway in The Color Purple, and we already know she can sang with the same emotional force as Nina once did. 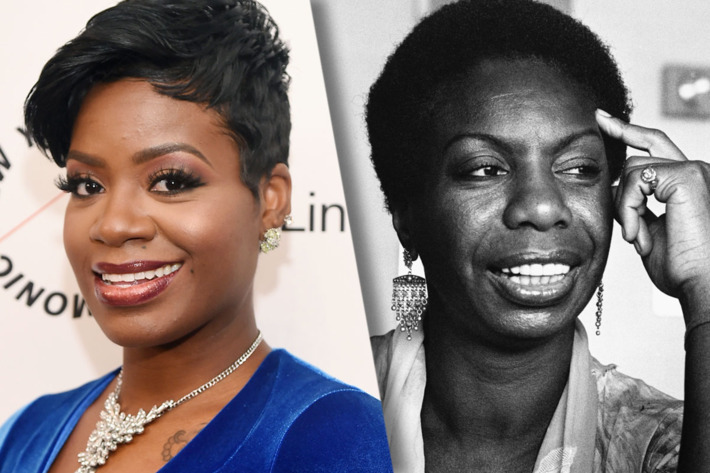 With the right direction and coaching, playing Nina Simone could have Fantasia following in Jennifer Hudson’s Oscar-winning footsteps.